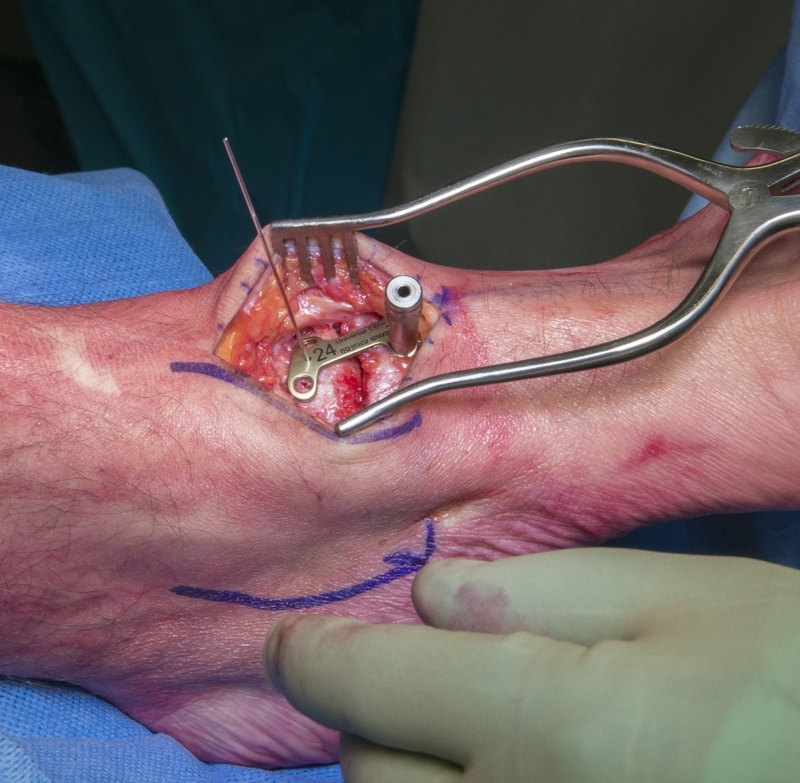 Learn the Talo-navicular fusion using Zimmer-Biomet locking plate surgical technique with step by step instructions on OrthOracle. Our e-learning platform contains high resolution images and a certified CME of the Talo-navicular fusion using Zimmer-Biomet locking plate surgical procedure. Talonavicular osteoarthritis is a moderately common condition to be seen and treated by foot and ankle surgeons. It has many aetiologies including being the sequelae of trauma as in this case. Non operative treatments involve the use of accommodative semi-rigid orthoses, activity modification and analgesia. When this conservative approach fails operative intervention should be considered. Chiodo CP, Hahne J and Wilson MG. Histological Differences in Iliac and Tibial Bone Graft, Foot and Ankle International May1, 2010. Author: Mr Chris Blundell FRCS (Tr & Orth). Institution: The Northern General Hospital, Sheffield, UK. Author: Author: Mr Chris Blundell FRCS (Tr & Orth). Institution: Institution: The Northern General Hospital, Sheffield, UK.